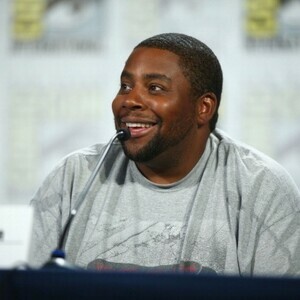 Kenan Thompson net worth and salary: Kenan Thompson is an American actor, voice actor and comedian who has a net worth of $9 million. Born May 10, 1978 in Atlanta, Georgia, Thompson is best known for his comedic work on the popular NBC show Saturday Night Live (SNL). During his teen years he was an original cast member of Nickelodeon’s sketch comedy series All That. Thompson began his acting career at age fifteen when he appeared in a school play entitled The Gingerbread Duck. He would go on to star in All That and a sitcom called Kenan and Kel. The first movie Thompson starred in was The Mighty Ducks. He went on to star in such films as My Boss’s Daughter and Snakes on a Plane. His voice acting credits include Fox cartoon series Sit Down, Shut Up and portraying the voice of the LeBron James puppet in Nike’s MVP (Most Valuable Puppets) commercials shown during the 2009 NBA Playoffs. He also guest-starred on the USA Network television show Psych, Season 4, playing a college singing buddy of the character Gus. In 2011, Thompson is also credited with hosting TeenNick’s ‘The 90s Are All That.’ Kenan Thompson married model Christina Evangeline on November 11, 2011 and in February 2014 the Thompsons announced they were expecting their first child. Thompson has also starred in films including Heavyweights, D3: The Mighty Ducks, Good Burger, The Adventures of Rocky and Bullwinkle, Barbershop 2: Back in Business, Fat Albert, Brother Nature, Going in Style, and more. From 2013 to 2015 he voiced the role of Impresario on the TV series The Awesomes. Thompson began starring on Saturday Night Live in 2003. In 2000 he won a Kids’ Choice Award for Favorite Television Actor for All That. He has been nominated for multiple awards for Saturday Night Live including a Primetime Emmy Award in 2017 and an Imagine Award in 2006.